This is definitely the most enchanted breakfast you'll ever have: this spring, Disney's Trattoria al Forno restaurant on Disney World's Boardwalk is turning their Bon Voyage Breakfast into a "character dining experience." Disney characters including The Little Mermaid's Ariel and Prince Eric and Tangled's Rapunzel and Flynn Rider will be circling the restaurant and chatting with customers while they eat their meal. So yeah, you can eat pancakes with a Disney princess. Much like Rapunzel or Sleeping Beauty, you're going to have to have a little patience: the princess-filled breakfasts don't start until April 2nd. Also, like anything at Disney World, it's not exactly a bargain. Adults' breakfasts will cost $34, while children's will cost $20. Still, it's not bad when you consider that every breakfast comes with a beverage, a frying pan full of pastries, either a fruit salad or a berry parfait, and one of the thematic main courses options. And also when you consider the fact that you're dining with royalty. If you want to go the Little Mermaid route, food options include the "Shipwreck al Forno," (calzone with scrambled eggs) the "Swimmers di 'Light,'" (smoked salmon egg white omelet) and "Two Eggs Poached Under Water" (which seems like a bit of a stretch). 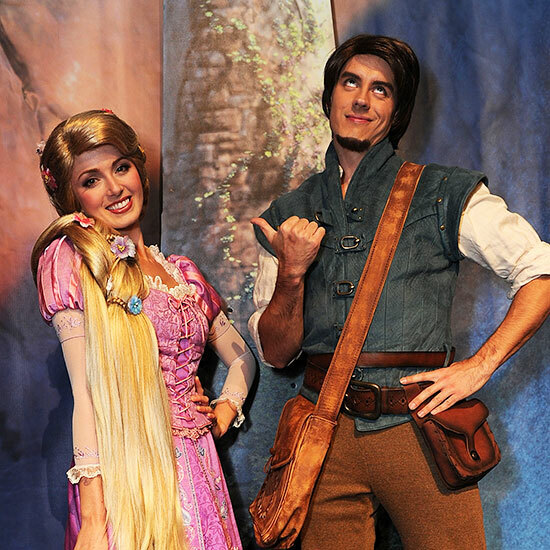 On the other hand, if hitting guys on the head with a frying pan is more your style than keeping silent until your handsome prince kisses you, you can try the Tangled-themed options like "Tangled Eggs," (tomato and basil scrambled eggs) "Golden Fritata," (with prosciutto and piquillo peppers) and the "Tower of Pancakes." If eating breakfast among Disney's celebrities is enough of a dream come true to be worth a trip to Orlando, you can make your reservations through Disney's site. If you're going to be at Disney World in the next month or so, you can also reserve a breakfast without characters, now through April 1st.